Founding Attorney Ted Schiller provides dedicated representation in various aspects of business and corporate law. While his practice areas are extensive, he concentrates in the transactions that are essential to the structure of any business. Clients on a number of corporate levels have benefitted from the seasoned insight he has gained over more than 35 years. Mr. Schiller has dedicated a significant amount of his work to representing owners of automobile dealerships generally, and in buy-sell transactions; as well as banks in loan transactions. Ted founded the firm alongside Perry Pittenger in 2001. What started with only two attorneys has since expanded to incorporate the legal experience of fourteen lawyers in various practice areas. Prior to forming Schiller & Pittenger, P.C., Ted served in a variety of legal capacities for different firms and businesses. 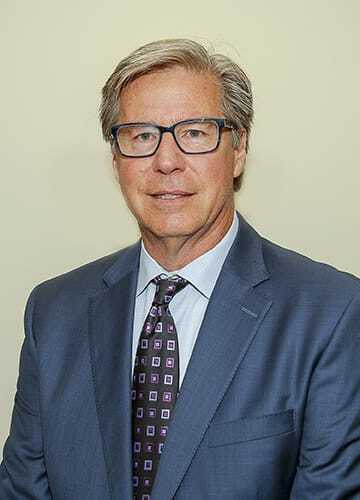 He sharpened his knowledge of automobile and business law during his time with Toresco Enterprises, an auto dealership group, for which he served as general counsel while handling matters related to dealership operation, general business, and purchase and sales of dealerships. Ted started out as an Assistant Prosecutor in Union County, New Jersey. In this capacity, he handled criminal cases ranging from drug charges to homicide, eventually taking more than twenty jury trials to verdict. Since this time he has served as Municipal Prosecutor in Scotch Plains, Readington Township, and Union Township (Hunterdon County). Today, Ted represents automobile dealerships and their principals across the country. Most recently – he has been serving as the Executor and Trustee with respect to the Estate of a prominent automobile dealer, and in that capacity, he has overseen the operation and eventual sale of numerous automobile dealerships and other estate assets.